When to Feed a Puppy? How Much Water to Give a Puppy? Nursing a puppy is usually a genuinely enriching experience that starts with feeding them the best puppy food you can afford. No need to break the bank; there are plenty affordable or cheap puppy foods available on the market. Sure, you do get what you pay for and so much in a puppy’s growth and health will depend on how good its diet is. We don’t recommend cutting corners but if you are on a tight budget, here are the best tips and tricks to feed your puppy with a balanced and complete dog food. 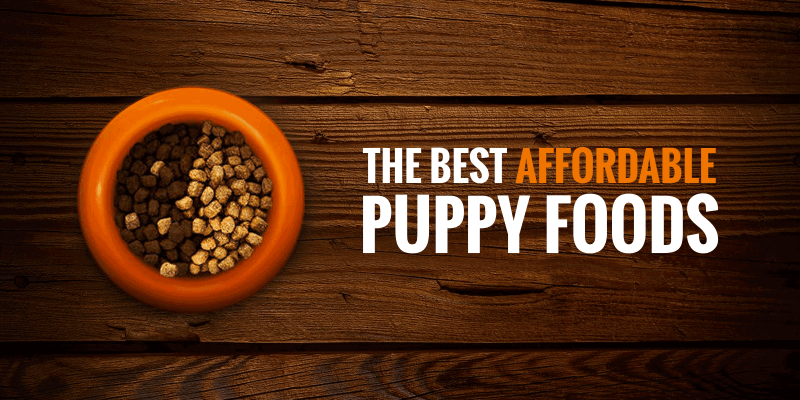 We’ve also listed the best cheap puppy foods below so make sure you check them out! Puppy food basically comprises all types of food and nutritional supplements that are essential for the growth and development of the young and still growing dogs. The bones, muscles, joints and the overall immune system of the puppies need additional nutrition for them to grow into healthy, adult dogs. A well-balanced puppy food contains all those nutrients that the puppy needs only while growing up and not later. The percentage of Protein and Fat required by a puppy is more than what would be recommended for an adult dog, for instance. Choosing the right puppy food is essential to ensure that the puppy stays energetic and healthy throughout. The dry type of puppy food contains the maximum meat protein while also being decently digestible. Dry kibble is not as digestible as wet puppy food yet, moist puppy foods are usually composed of 60-75% of water, making them a lot poorer in the essential nutrients. Semi-moist puppy food could be a better option out of all the three though it is also the most expensive variety. Semi-moist food is easily digestible and does not need refrigeration but it has its downsides too. Semi-moist foods contain high levels of salt, sugar and other preservatives, often causing obesity and hyperactivity in the young dogs. Considering all this, a combined diet of moist food and dry kibble is the most recommended option for ensuring a balanced nutrition of the puppies. Puppies need special care and their nutritional requirements are not the same as that of the adult dogs. Young dogs are more sensitive to harmful toxins, poor quality ingredients and dietary deficiencies. As such, the very first year of the puppy is the most important one too. As for calories, a puppy’s food must ideally contain 445 Kcal/per cup compared to the 375 kcal/per cup required for an adult dog. The little extra calories that a puppy needs help him/her a lot in the long run. The American Association of Feed Control Officers (AAFCO) further delineates the exact amount of the nutrients that the puppy needs on an average. Accordingly, puppy food must contain 22% Protein, 8% Fat and 1% Calcium, which are higher than 18% Protein, 5% Fat and 0.6% Calcium content in adult dog food. Puppies need more of protein, fat and amino acids because puppies have a higher risk of suffering nutritional deficiencies. Puppy food should necessarily contain Omega 3 fatty acids too because this optimizes their brain and eye development while letting them own a glossy coat and healthy skin. 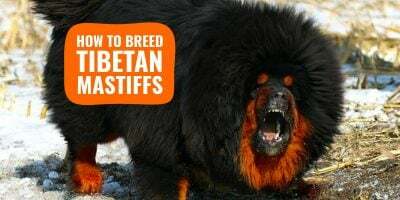 The fat and calorie requirement for the large breed puppies, on the other hand, is slightly different because they have the tendency to develop Orthopaedic diseases like hip dysplasia. The food for the large breed puppies, therefore, must strike a unique balance of Protein, Fat, Calcium and Phosphorus. As a owner of a puppy, irrespective of his/her breed, choose food that is primarily made of wholesome, natural ingredients to promise your puppy health and well-being in the long run. Whole animal products are the best and the most trusted sources of protein. Since, the puppies need protein in a fair portion, make sure that his/her diet includes whole animal products like Chicken, Lamb and Salmon. Healthy grains, which are good sources of carbohydrates, must find enough place in your puppy’s daily diet. The best form of healthy grains will come as Rice, Maize, Buckwheat and Oats. The comparatively cheaper carbs like corn or wheat packed into a kibble are also available out there in low priced packs. Natural Fats and Oils strengthen the muscle of the puppies while also letting their coat shine. Puppy food with generous amount of fats and oils sourced from quality plants and animals ensure the overall health of the little creatures. Essential Vitamins and Mineral including Vitamin A, E, C, B-Complex, Phosphorus, Calcium, Omega 3 and Omega 6 Fatty Acids. By-Products of Meat are often unrecognized and sourced from sick or disabled animals. It is essential to always buy puppy food with recognizable meat ingredients only. Grain Fillers are better to be avoided because your puppy needs only good quality corn and wheat. Since puppies are carnivore, the cheaper form of carbs should be kept away from their dietary plan. Corn Sugar should be strictly avoided under any circumstance. This is only a type of sugar that is used as a sweetener in dog foods. Excess sugar ends up causing overweight, hyperactivity and diabetes in the puppies. Chemicals including Pesticides and Growth Hormones are extremely harmful for the puppies and therefore, must be avoided. Growth Hormones are also difficult to digest. Check out for BHA, BHT, Ethoxyquin, Propylene Glycol, Hydrochloric Acid, Artificial Flavours, Synthetic Vitamins, Artificial Colours and Preservatives. These along with bone meal, cellulose and grain hulls have no place in your puppy’s daily diet. To make life easier for you, we have reviewed 5 best cheap dog foods for puppies, just for you. But before taking a look at the 5 best dog foods, why don’t we consider some of the features to consider when buying the best dog food for puppies? Grain Free Formula — This quality dog food contains real meat as the number 1 ingredient. It does not contain any grains as fillers. Feeding your dog this grain free food ensures that your dog’s carbs intake will be lower. This will help your dog to manage his weight. Highly Digestible Source of Protein — This is because it is made with real roasted meat. Your dog’s digestive system will, therefore, find this dog food to be easily digestible. Contain Proteinates — It contains minerals that are bound to amino acids. This makes the proteins to be very easy to absorb by your dog’s body. These proteinates include iron proteinate, copper proteinate and zinc proteinate. Rich in Antioxidants and Vitamins — Antioxidants are important since they promote a healthy immune system by eliminating the effects of free radicals in your dog’s body. High-Quality Ingredients — It consists of high-quality exotic protein sources that include buffalo meat and venison. 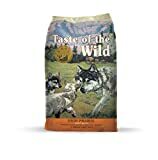 Taste of the Wild for Puppies promotes a healthy growth of puppies and is free of any corn, wheat or fillers. This formula contains delicious fruits and vegetables that provide valuable antioxidants, and it helps to support a healthy digestive system in puppie thanks to the dried chicory. Obviously, it is safe for your puppy and contains no artificial colors or flavors. Show dogs love it because it maintains a healthy skin and coat due to its great amount of essential omega 3 and omega 6 fatty acids. This Hill’s Science recipe is full of high-quality ingredients and is also free from artificial colors or preservatives. It contains a perfect balance of nutrients that are essential. This dog food has been made in consultation with more than 220 pet nutritionists, scientists and veterinarians. It is made with high-quality proteins that consist of real chicken or lambs as the main ingredient. Levels of calcium are ideal and we also recommend this exact food for pregnant and nursing mothers to avoid eclampsia! 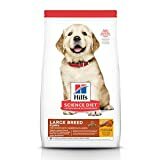 Your large breed puppy will need strong bones due to his large weight, Hill’s Science Diet Large Breed contains optimal levels of calcium to facilitate the growth of strong bones. 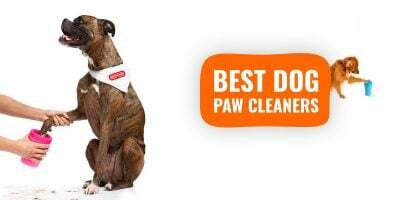 It has received positive reviews from leading veterinarians all around the world. Most vets recommend it as the best diet for dogs and puppies. To further its nutritional qualities, Hill’s Science also contains a blend of antioxidants and vitamins to promote a strong immunity and good health in your puppy. It supports the development of healthy joints and cartilage thanks to the glucosamine and chondroitin embedded in the recipe. This is a highly digestible affordable puppy food since it contains real chicken as the first ingredient. BLUE as a pet food brand is booming, their offering is large and the quality is high. They have some great cheap dog food for puppies with no compromise on the quality of their recipes. It is made with only healthy, natural ingredients. It contains real deboned chicken as the number #1 ingredient. This one, in particular, includes whole carrots, blueberries, cranberries and sweet potatoes. These fruits and vegetables provide the much-needed vitamins and minerals. All the various fruits added to the recipe boost the levels of antioxidants that play a very important role in eliminating free radicals from the body of your dog. These free radicals are known to cause tissue damages and cancer. So yes, you do want as much antioxidants as possible. BLUE Homestyle recipe is a wet dog food which improve the palatability of the meal hugely when compared to cheap puppy kibble. Made of high-quality proteins, it features all essential amino-acids. These will improve the appearance of your dog’s coat, build his muscle mass, maintain his hormonal balance. The rich and complex carbohydrates leads to a more energetic dog and reduce fat storage and the supplemented minerals will promote healthy and strong bones. Does not contain corn, wheat or soy. It is however not grain-free since it contains brown rice and barley. When you give your pup a food like Purina Pro Plan Focus Puppy, you give them chicken as the first ingredient. Poultry is a rich and highly digestible source of protein. 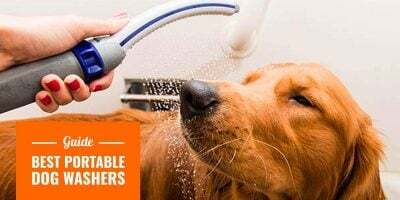 Not just that, Purina Pro Plan is also boasting great levels of essential omega fatty acids, and DHA from fish oil, to promote healthy skin and to enable your dog to have a shiny, beautiful coat. Such nutrients help in the development of the puppy’s nervous system and its cognitive functions as well as eye sight. A good formula for pups should always contain a great amount of antioxidants and this is the case here thanks to the wide variety of fruits and vegetables thrown in the recipe. It also contains added calcium to facilitate the growth of strong bones and teeth. It also contains other minerals like phosphorus and potassium. Contains carefully selected ingredients to provide specific nutritional needs, and tailored to provide your dog with optimal protein to fat ratio. Please mind that Purina Pro Plan Focus Puppy contains poultry by-product meal and grains which are known to cause allergies in some dogs. Grain-free dog foods are awesome and very much recommended to most dog owners; they are easy to digest and grains tend to be replaced with more complex and more nutritious carbohydrates. This formula uses sweet potatoes and pumpkins as its main source of delicious carbohydrates. Formulated to support the growth of the puppy’s body, it is made using high-quality proteins and contains real chicken as the first ingredient. It is rich in vitamins to also promote your puppy’s immune system. As a big plus, especially with sensitive puppies, this recipe does not contain any ingredients that are usually associated with food sensitivities. Over the years, we’ve received plenty of emails from our audience pertaining to the various puppy foods and puppy feeding schedule. So we decided to dig deep into our mailboxes and compile a list of the top questions asked… and we answered them below! When it comes to ensuring a healthy diet for your puppy, there are several other guidelines to follow. To begin with, feed your puppy at the very same time everyday and make sure he/she has least disturbance while eating. There will be times when the little one will be reluctant to eat and at such times, it is better not to force. You can simply put the food in a container inside the refrigerator and perhaps, offer him/her a little later. Skipping a meal occasionally should not ideally bring down the puppy’s energy level instantly. Let your puppy not grow the habit of eating “people foods” i.e., food from your table. These foods will not provide the puppy with the essential nutrition and he/she will get into the habit of eating inappropriate foods that ultimately does no good. Ideally, a puppy should be fed thrice a day till he/she is about six months old. After that, it might come down to twice a day after consultation with the concerned veterinarian. As for feeding puppy food, it should continue till the time the puppy reaches 80% of his expected adult size, which is usually a year old for most dogs. The amount of food that a puppy would require will depend on his/her particular breed and nutritional needs. Puppy food packaging usually recommends the required amount to be fed. While the larger breeds need more calories, the smaller, laid back ones might require a little less. However, you must not over-feed the puppy especially, if you have a breed like Labrador which is prone to becoming overweight. 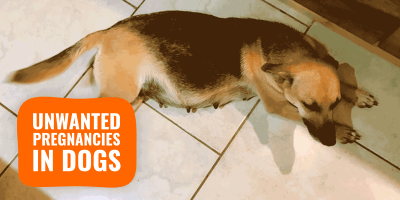 If the hunger of your puppy confuses you about how much to feed, check above the waistline and make sure that his/her ribs are not protruding. 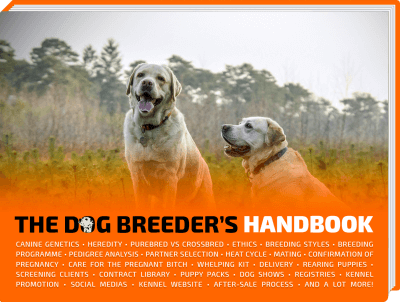 For breeds other than those that are genetically slim, this method will give you a fair idea about whether your puppy is getting the required nutrition. Puppies need a lot of water. However, when it comes to making water available for them, it is better to lay out a bowl for him at all times. This will drive him/her to drink more water than his body needs, thereby, posing problem in house training. It is advisable to give your puppy water at scheduled times of the day only till the time he/she grows into an adult dog with the ability to control his bladder functions. The percentage of meat — Meat is essential for the proper growth of your puppy. It is, therefore, very crucial to make sure that the puppy food that you buy has enough meat content to help your puppy develop stronger muscles. Presence of organic ingredients — You should make sure that the puppy food that you buy has organic ingredients like fruits that contain some minerals and vitamins that are ideal for boosting your puppy’s immunity. Organic grains are however not good for your puppy, and you should avoid foods that have included them in their formula. Pricing — This is a factor that we rarely give much consideration but is very vital. You cannot buy the best puppy food if your pocket is not deep enough. The perfect puppy food should be able to strike a balance between quality and pricing, and therefore money is significant in buying the ideal puppy food even though we are talking about cheap in this case. The puppy’s body condition — If your puppy has some health issues like being obese, then you must feed him on foods that are specially made for obese dogs. Underweight puppies will also have their special food. If the puppy is generally healthy, then you should buy him puppy food that will sustain their good body condition. Puppy feeding is as much about building a routine as it is about nutrition. So, while the Protein, Fat and Carbs requirement of the puppy should be met through the ideal food, the puppy should get into a habit of eating. And to grow this habit better, it is good to stick to some specialist puppy foods and not change brands very frequently. However, the primary focus should be on choosing food that is calorie rich and contains high-quality protein. Different puppies have different growth rates depending on their size and breed. It is better not to move on to adult food too soon without being sure that your dog no longer needs puppy food. So, embark on this amazing journey of bringing up a puppy that makes you proud and showers you with unconditional love always!